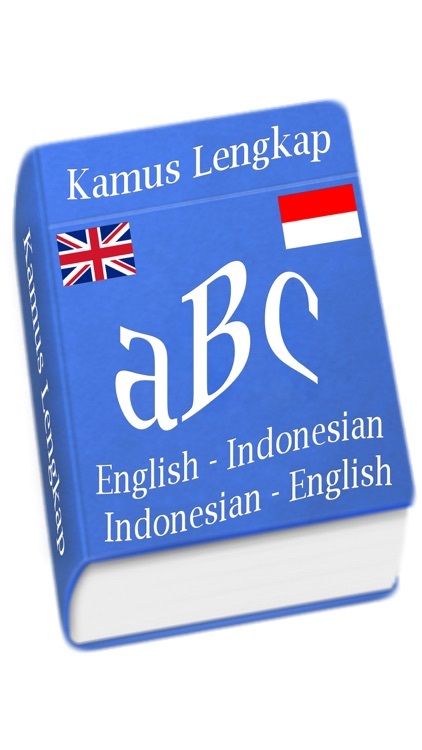 The standard edition of Kamus Lengkap, the very popular easy to use and complete mobile dictionary. 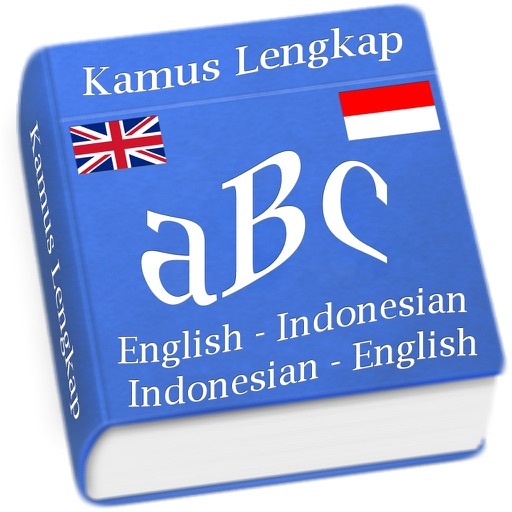 It supports English - Indonesian, Indonesian - English, regular and irregular verb features including infinitive, simple past, past participle and the meaning in Indonesian ( Indonesia ). 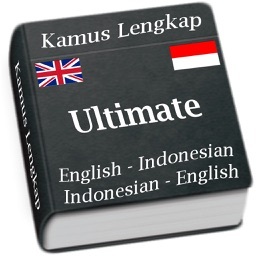 The software user interface supports both English ( Inggris ) and Indonesian ( Indonesia ). You can switch this feature under the Options menu. 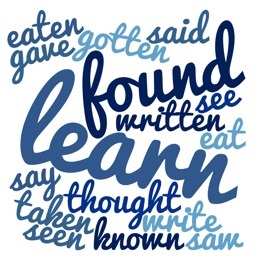 - Regular and irregular verbs (infinitive, simple past, past participle, and the meaning). 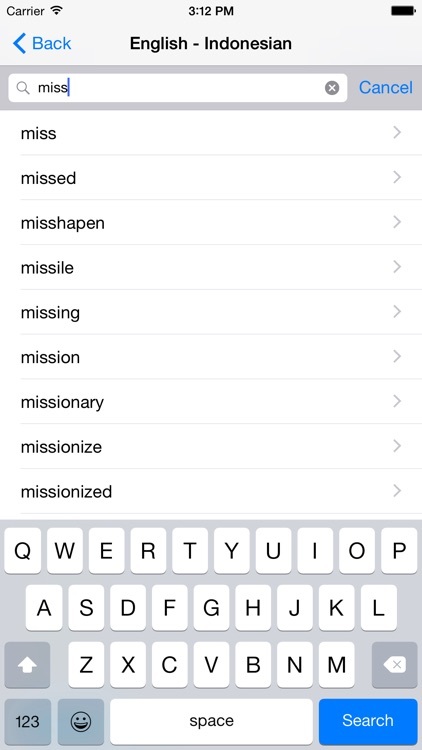 - Advanced searching options (Begins with, Match whole word only, Contains, and Ends with). 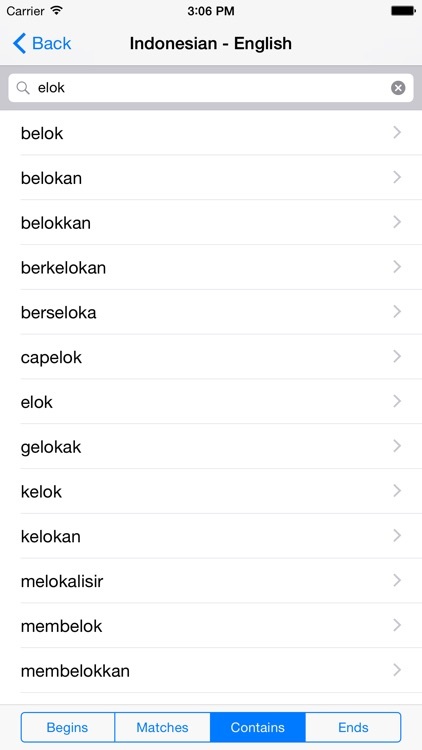 - Audio (English and Indonesian speech) for iOS 7.0 or later. - Automatic rotate option (portrait and landscape orientations). 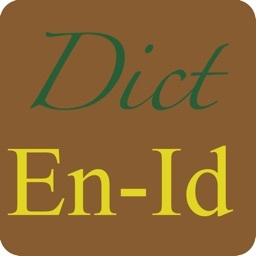 - Universal design for iPad, iPhone, and iPod touch. 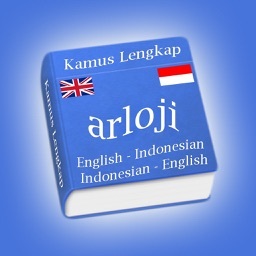 - English or Indonesian user interface option. 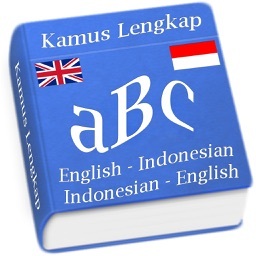 - Explanation of English and Indonesian abbreviations in Help section. 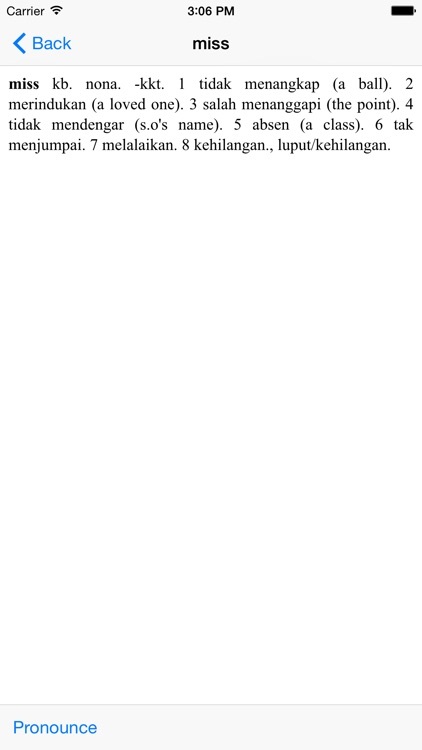 - High-resolution graphics for Retina display. 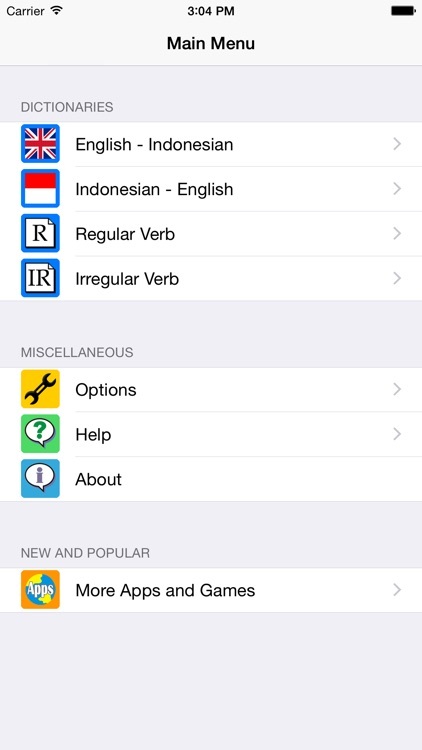 - Fast app switching on multitasking devices. - Could work either online or offline (No internet connection required).